Equifax has decided to expand the center, the only one of this type it has in Latin America and one of its three around the world, investing US$20 million and doubling the Center’s team to 300 employees. Equifax made its debut in Chile in 2008 and, since then, has grown into one of the success stories of US investment in Chile. Its experience was so positive that, in 2009, it decided to install a Technological Development Center in Santiago, with an initial investment of US$20 million. The center, which creates IT solutions for the company’s clients around the world, is the only one of its type that it has in Latin America and one of the three it has internationally. The others are in Dublin in Ireland and Atlanta in the United States. Over the past ten years, the center has shown remarkable growth. It began with 30 employees, mostly engineers, and 150 people now work there. The results of its operations in Santiago have been so positive that Equifax has announced an important expansion: it will invest a further US$20 million in the center and, in the medium term, will double its team to 300 people. Announcing the expansion, the general manager of Equifax Chile, Carlos Johnson, described it as “reaffirming our confidence in the country, which has not changed at all since we started our operation here in 2008”. 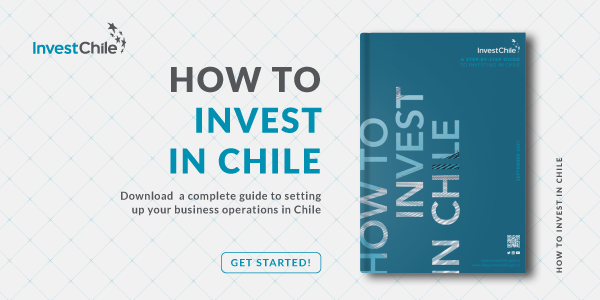 He also highlighted the support and collaboration received from local players and particularly thanked InvestChile for its support over the decade and the advice it provided for this successful investment. “I only have satisfactions to report today and to tell you how important you are for us,” he said. The event was also attended by the US ambassador to Chile, Carol Pérez, who highlighted Equifax as an example of the excellent trade and investment relation between the two countries. “It’s just another example of how the US and Chile have such incredible ties together, and about the incredible talent that’s here in Chile,” she said. As well as noting Chile’s stability and business climate, the executives also indicated that one of the reasons for the success of Equifax and its Technological Development Center in Chile has been the quality of the human capital available and, particularly, that of the engineers who have joined the team. One of the company’s strategies, which has delivered good results, has been to form agreements with Chilean universities and offer internships so as to train high-level professionals with the ability to generate technological innovation of the highest quality. Carlos Johnson also drew attention to the company’s contribution to the growth of human capital and expressed his pride in it. “We know we are helping the country’s professional development and that is very reassuring for us,” he said.